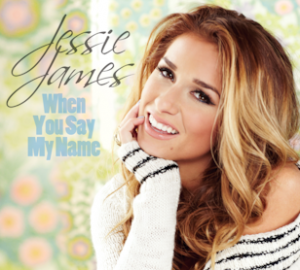 Jessie James is back with a new song. This time she gives country fans a reason to say her name with When You Say My Name. The song is fun and playful and it just might be the track to get Jessie up in the top 30 on the country charts. It’s been a few years for Jessie James. She’s been working on finding her niche in the music business. She’s released singles and songs and over the last few years has come a long way. She now seems to have stumbled on a song that could mark a turning point in her career. When You Say My Name has a light, fun sound that people could latch on to. The song is playful and romantic and there is a little trend in country right now for these kinds of songs. I’m not sure if When You Say My Name has the potential to be a huge hit, but sometimes a new artist just needs a little attention to set them up for bigger things with subsequent singles. I’d look for this song to possibly enter the top 40 sometime in 2012 and further establish Jessie as someone that should be paid attention to this year. She’s got a good voice that fits the song well. She’s not the best singer in country. The song isn’t the best song in country, but I think it’s good enough to get some attention. I’m interested to hear what you think of the song? Is this the kind of music you enjoy listening to or is there something else you’d rather hear on radio and online? I think Jessie is showing potential and each new song she releases shows another side of her talent. When You Say My Name is fun and something each person in love can relate to. It’s a good song that shows potential.